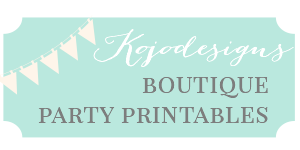 Since Saipan is such a mix of Asian cultures, many of our favorite treats here aren’t ‘local’ per se, just things we’ve discovered we love while living here. 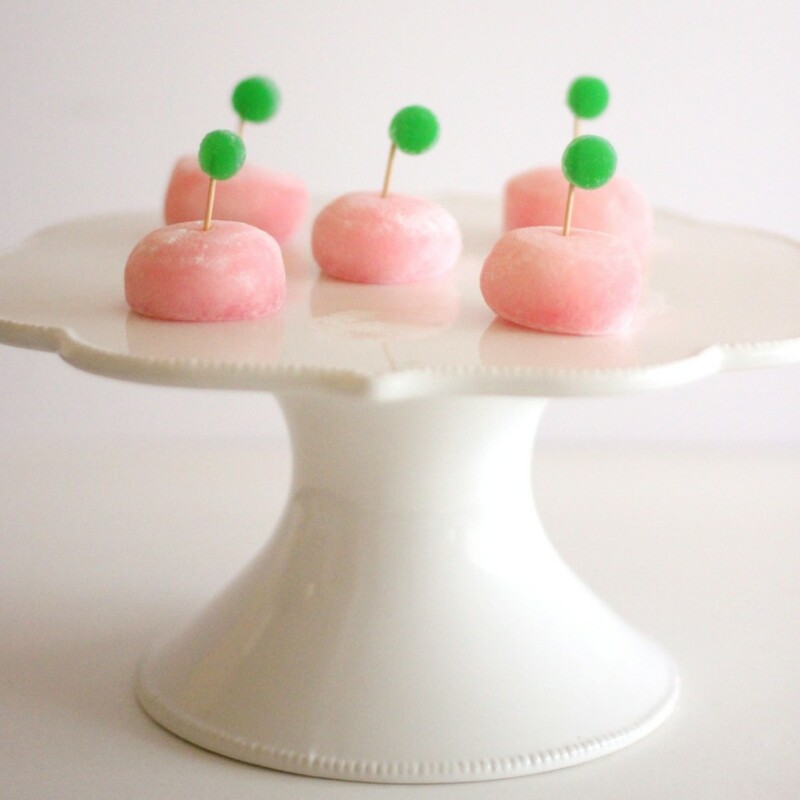 Topping that list for the kids are mochi (Japanese rice cakes). And who wouldn’t love a treat that can so easily morph into so many different things? We made a whole batch of these for Burke’s class for teacher appreciation week (we’re celebrating a little early since we’ll miss it when we are stateside) and they were a huge hit. 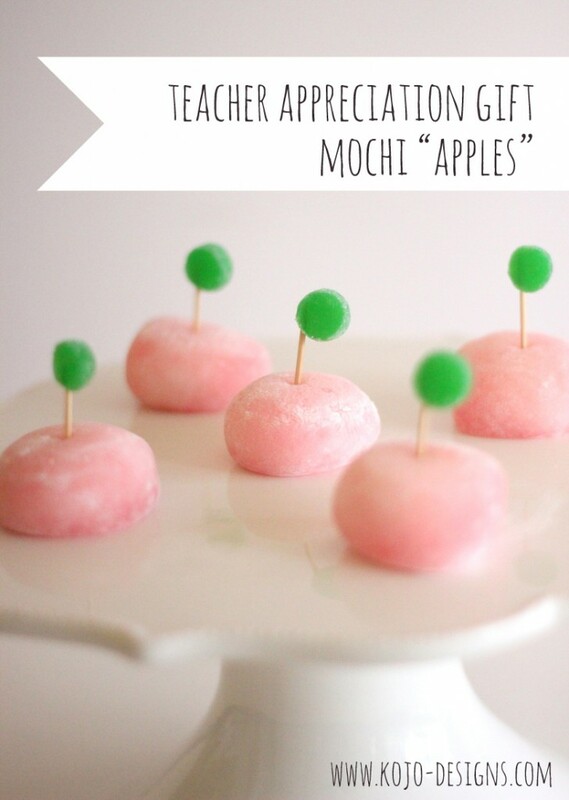 If you can find mochi (try a Japanese grocery store- if not, you can get them on amazon as well), these make such a fun teacher appreciation gift! 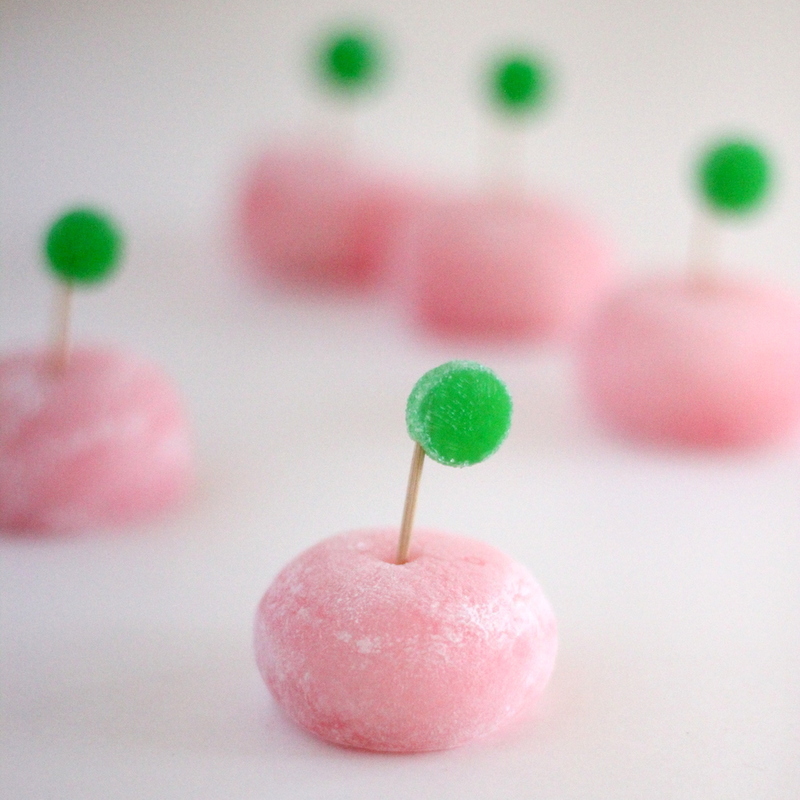 To make them, just cut green gumdrops in half and slide onto cut-off tooth picks. 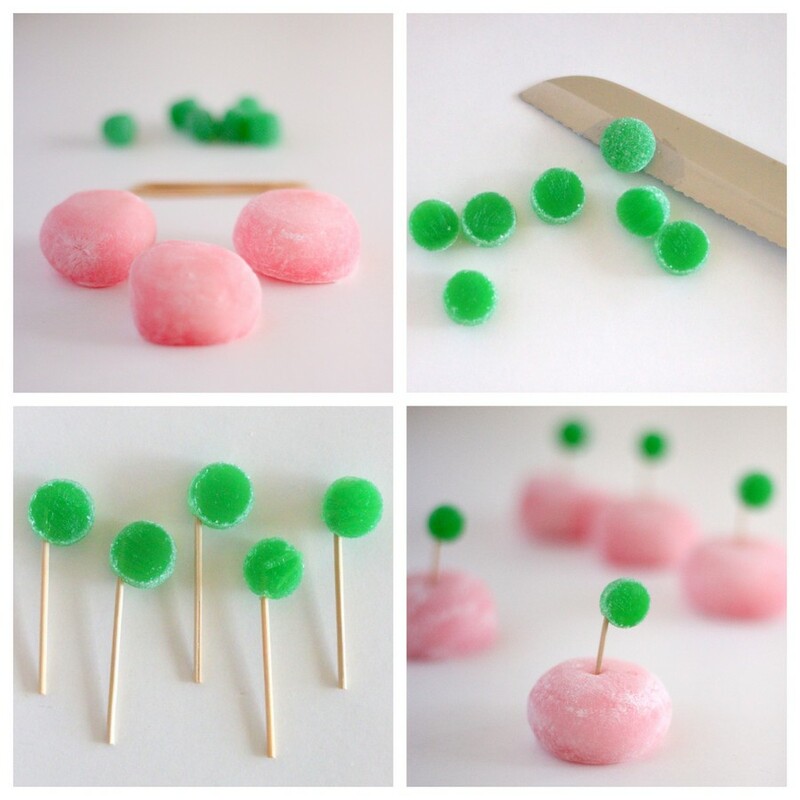 Stick the toothpick into the center of the mochi and you have yourself the cutest little mochi ‘apple’.